Beautifully upgraded 4 bedroom 3.5 bath PLUS HUGE BONUS ROOM featuring 2607 sq ft of living area in sought after Silverleaf. Built in 2016 by KB Homes, this barely lived in home is READY TO MOVE IN! Amazing open living areas feature wood look tile throughout. Expansive kitchen features GRANITE counters, STAINLESS STEEL appliances and vented hood. HUGE upstairs BONUS ROOM is perfect for the pool table, the big screen tv or a playroom. LOFT with spindle stairs makes a great office. Master suite is 19 x 15 with a large WALK IN CLOSET and master bath features dual sinks with granite counters, walk in shower, soaking tub plus private water closet with linen closet. 3 Bedrooms upstairs plus downstairs guest suite is perfect for family or as a second master. Inside laundry room plus storage under the stairs. COVERED PORCH and FENCED BACKYARD for family barbeques. 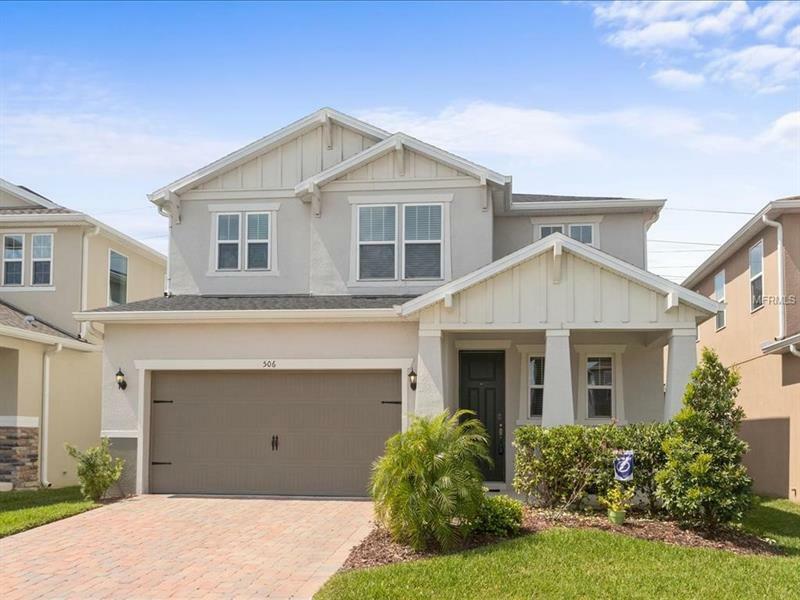 Silverleaf features a neighborhood playground with a great location just around the corner from I-4, 417 and Seminole Town Center. You will be impressed!